Pop Art is so much fun! Another day where you could go so many directions. We opted for something fairly simple, but we still had a blast. The challenge for today is: break the rules. Not literally of course. ;) I just mean dump out the crayon and markers and let your child create whatever he or she wants to. 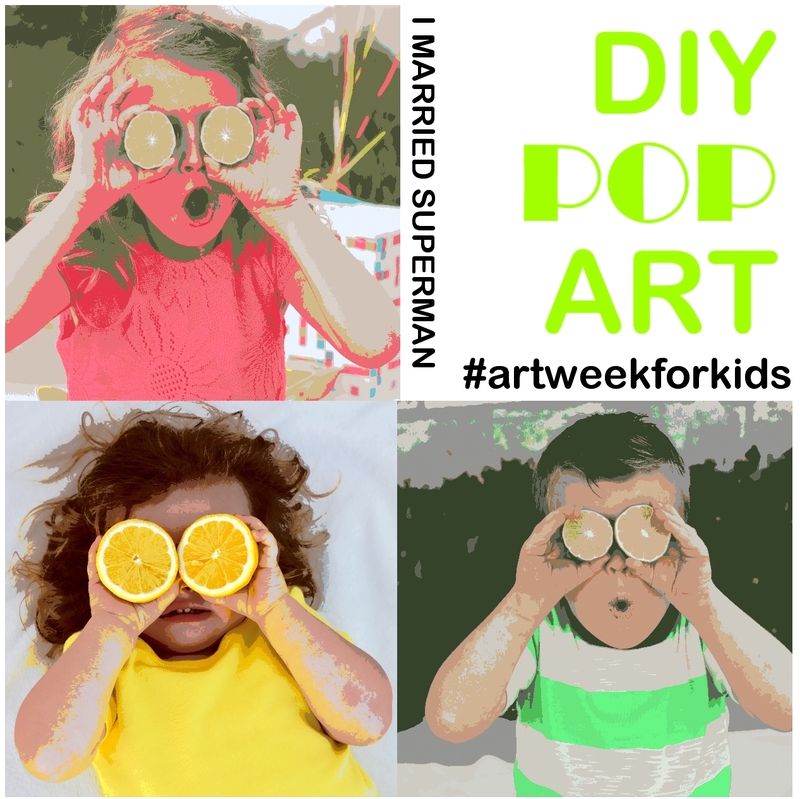 I started off by showing my kids Pop Art in the Andy Warhol style. They were weirded out but kind of fascinated by it. So as they were watching, I decided to turn them into popart. I was trying to be quick, so I did it really fast in Picasa. There are loads of tutorials on how to do it more professionally in Photoshop, but we were hustling, so I thought I'd share the steps just in case. It's not exactly Warhol, but it's along the same sort of style and it was a fun quick way to show the kids a different type of "art." Lila was not a fan by the way. It really weird-ed her out. After that we rolled out a big sheet of paper (we used an ikea roll, but you can use the back of wrapping paper, craft paper, or just normal paper--whatever you've got) and the kids colored to their hearts content. 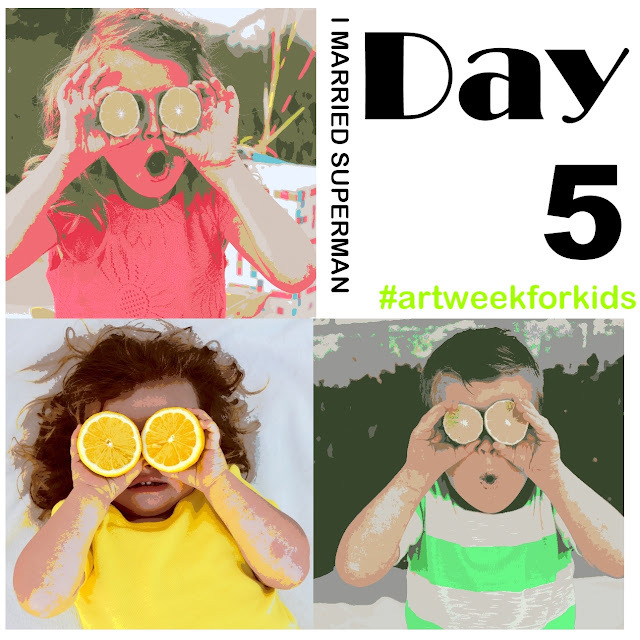 Don't forget to follow along on instagram tagging #artweekforkids to join in on the fun! I love this. I need to do the butcher paper thing- it has been too long.